India is referred to as the diabetes capital of the world with 60 million people diagnosed with the disease where one in every two adult with diabetes goes undiagnosed. It is the fastest growing disease in the country and a matter of serious concern as this invariably also impacts the overall economy. While diabetes is a chronic medical condition, the good news is that at the pre diabetes stage, the disease can be curbed by introducing lifestyle and dietary changes. A healthy diet coupled with an active lifestyle plays a vital role in delaying the onset of the disease. Medical experts across the world encourage pre diabetics to adopt low GI foods in their diet. A low GI diet leads to healthy metabolism and weight management both of which effectively helps to manage blood sugar. 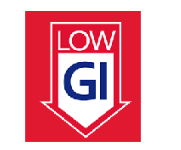 It is thus important to elevate our understanding of what Low GI means and the role it plays in our overall wellbeing. Glycemic Index or GI is a scale that ranks food we eat by the amount of blood sugar released in the body. Protein or fiber rich foods have low GI and are better regulators of blood sugar and hence an understanding of Glycemic Index helps us make healthier food choices. How does one understand the numbers on a glycemic index scale? The index is quite simple to understand- foods are ranked on a scale of 0 to 100. Knowing the GI value of foods gives one enhanced control on one’s diet. Examples of low GI foods are apple, banana, grapes, chana dal, urad dal, rajma, boiled peas, and carrots and sweet potato. Also wheat forms a major part of the Indian staple diet, replacing normal wheat flour with Low GI atta helps in managing diabetes. One must however bring in a balance of low and high GI foods and eat a well-balanced meal. Apart from diet, there are several other factors that affect the way the body responds to carbohydrates. Age, activity levels and the body’s metabolism play an essential role in determining how carbohydrates are processed. Also, the way a particular food is prepared can change its GI value. All the above factors, combined with diet and exercise, help in managing total LDL cholesterol levels, reducing the risk of type 2 diabetes and heart disease.